put a bald cap on the guy and used an air puddy to make the horns then liquid latex over it. and for the girl I also used the air puddy for her cheeks with liquid latex and then glued on clear plastic cardboard for her glass pieces on her forehead with liquid latex. then hand painted the rest. 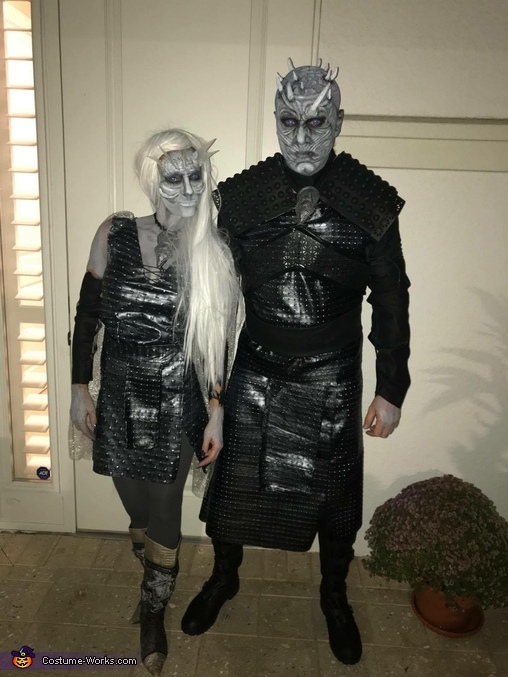 these were friends of mine going to a party. The outfits were made from material from Joann Fabrics.